RatnerPrestia provides strategies on how to protect intellectual property and avoid issues with third party rights. Medical devices obviously come in a variety of forms, and require expertise in one or more fields of technology. Many medical devices are conceived through the collaborative efforts of doctors, surgeons, engineers, scientists and other technical professionals. Our attorneys and agents have education, training, and professional experience in areas that are particularly suited for medical devices, including mechanical engineering, chemical engineering, electrical engineering, chemistry (inorganic, organic, physical, and biochemistry), biotechnology, physics, and materials science. This breadth of experience enables our team to understand many different types of medical devices, including sophisticated products and systems that merge together different technologies. The medical device industry is an extremely competitive business, presenting both opportunities and risks that must be assessed. It is critical to identify a medical device having commercial potential as early as possible and form a comprehensive IP strategy for protecting the device and its potential applications. 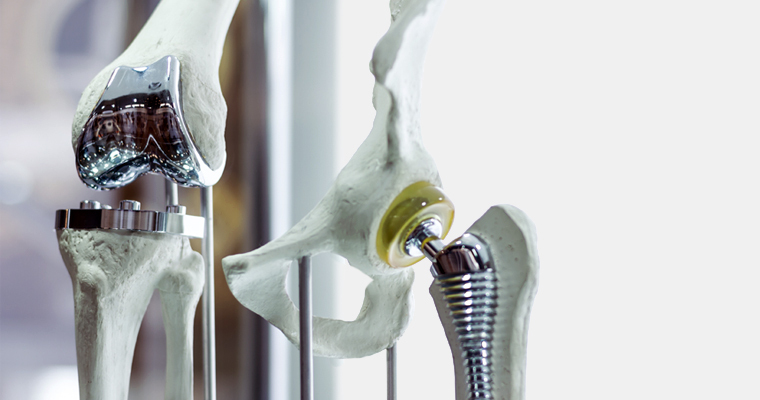 At the same time, we understand that medical devices can undergo changes throughout the development process, including modifications made in response to surgeon feedback, clinical trials and regulatory review. Therefore, we assist clients in determining the appropriate time to pursue patent protection, so that patenting decisions are made in a timely manner, but not prematurely. Whether the invention is in the early design stage, in the process of 510(k) clearance, on the verge of premarket approval (PMA), or already launched, we help clients maintain a business-oriented IP strategy and constantly refine that strategy to support the client’s business objectives. RatnerPrestia’s attorneys and agents have extensive experience in all phases of domestic and foreign patent prosecution. We have prosecuted patent applications for a variety of medical devices and healthcare products, including spinal implants, minimally-invasive instruments, surgical localization systems, orthopedic implants, patient monitoring systems, respiratory therapy devices, cochlear implants, magnetic nanoparticles, stents, drug compounding systems, dialysis machines, organ/tissue resection devices, infusion pumps, safety needle devices, catheters, sharps disposal containers and sharps transfer trays, to name some examples. Many of our attorneys have experience with inter partes review proceedings, ex parte reexamination proceedings and reissue proceedings. IP Risk Management is another important part of our practice. Our attorneys have many years of experience preparing opinions of counsel for clients, including opinions that involve patent validity and patent infringement issues. We provide opinions for clients in various contexts, including situations where clients need to assess their risks prior to launching new medical devices, or prior to acquiring rights from third parties. Our attorneys also monitor medical device patent litigation, and post grant proceedings that are relevant to our clients’ business interests. RatnerPrestia represents a number of clients engaged in research and development of medical devices and healthcare products, including Fortune 500 medical device manufacturers, startup companies, and universities.